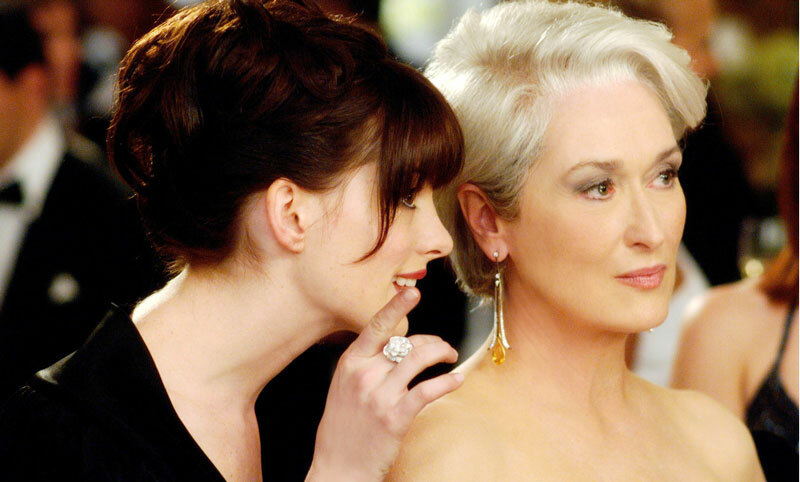 15 facts you probably didn't know about "The Devil Wears Prada"
1. The film was already in the works before the book was even completed. Studio executives bid on the movie rights before the book had even hit shelves in 2003. All they saw was the first 100 pages of a manuscript, along with an outline. 2. Rachel McAdams was actually the studios’ first choice for the role of Andrea “Andy” Sachs. 3. Director David Frankel didn’t like the script the first time he read it. He ended up working very closely with the new writer the studio hired, Aline Brosh McKenna, to come up with a script that everyone could be happy with. 4. The majority of Meryl Streep’s iconic outfits came from designer Donna Karen’s archives. 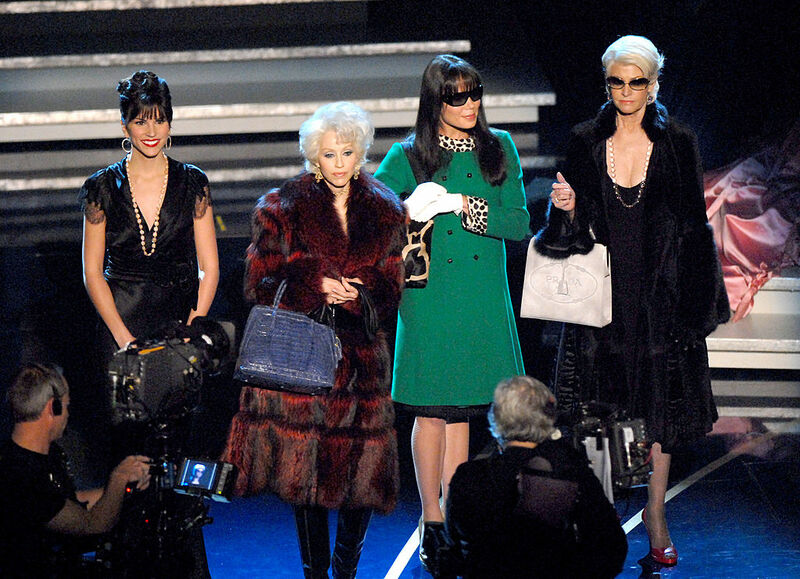 Miranda Priestly’s iconic statement looks largely consisted of Donna Karen’s designs from the late ’80s and early ’90s. 5. 100 actresses were considered for the role of Emily Charlton before they went with Emily Blunt. David Frankel had to “wait” for Blunt to actually NOT get a previous role she’d been up for in the film Eragon in order for her to be available for Prada. 6. To prepare for her role, Anne interned at Christie’s auction house. She said that she wanted to get more office experience to understand her role better. 7. Meryl’s inspiration for the low-volume she kept her voice at through the movie was from people she’d worked with in the past…specifically, men. 8. 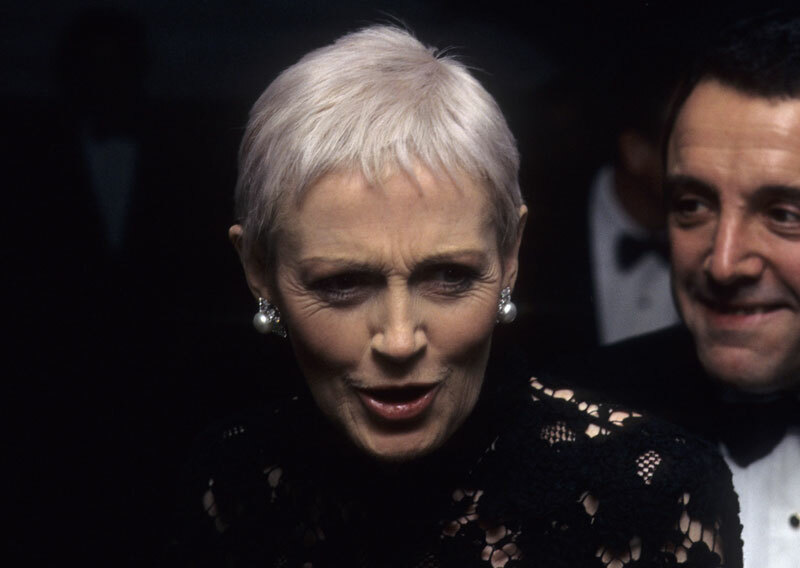 Liz Tilberis, the former editor in chief of Harper’s Bazaar, was a partial inspiration for the white hair Meryl wanted for Miranda Priestly. She was also a personal friend of Meryl’s. 9. 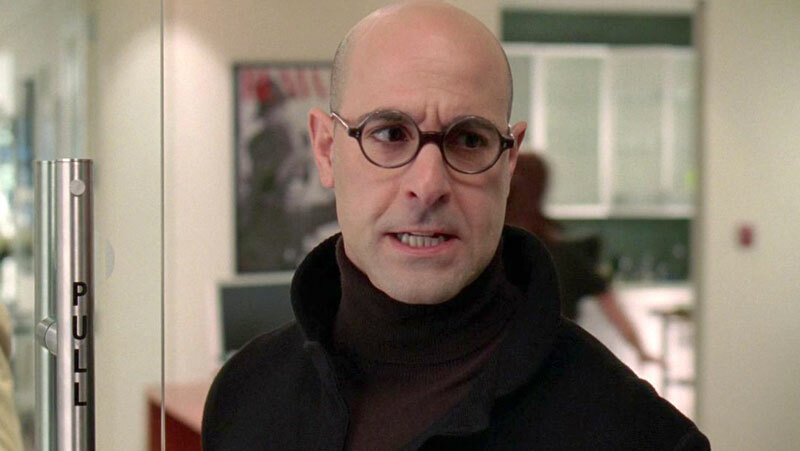 Stanley Tucci was only cast a few days before shooting started. Because there was little time to prep, Tucci mentioned that he had to “figure out” who his character really was as they went along. But she didn’t care because she was insanely excited about the chance to work with Meryl Streep (and who wouldn’t be!). 11. 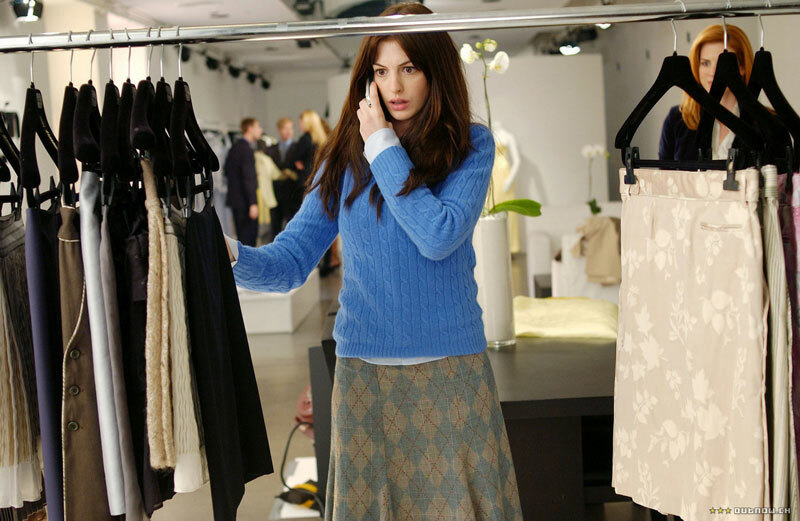 Costume Designer Patricia Field had to borrow a lot of the designer wardrobe in the film as opposed to buy it. 12. Anne would listen to “tragic opera” on her iPod in order to prepare for her more dramatic scenes. Although director David Frankel did often remind her that they were, technically, making a comedy. 13. Emily was actually the one to come up with the “I’m hearing this and I wanna hear this” hand motion she made in this scene. Emily said she saw someone do it one day and thought it would be perfect for this moment in the film. 14. 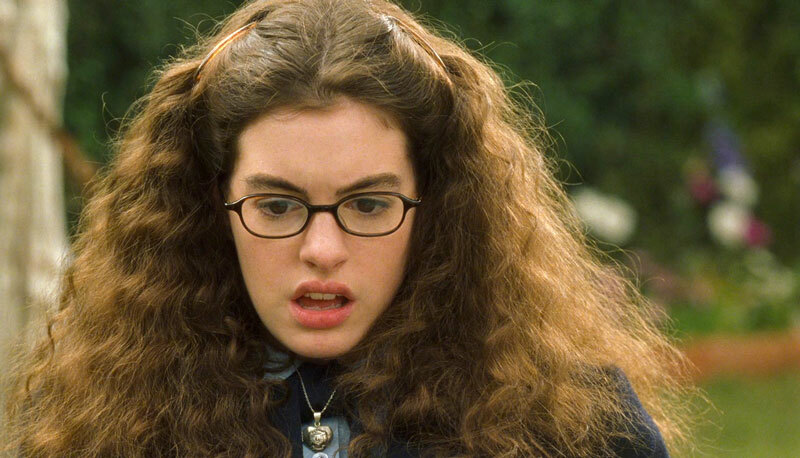 Believe it or not, Anne Hathaway was never really ~into fashion~ growing up. 15. And finally, while the entire cast considers each other family since making Prada, Stanley Tucci and Emily Blunt are LITERALLY family now. Tucci met Emily’s sister Felicity at Emily’s wedding and, according to Emily, if it hadn’t been for The Devil Wears Prada, Tucci would never have received an invitation to the wedding!